Can Make Your Landscaping Dreams Come True. Check out pictures of our recent projects. Then, give us a call. 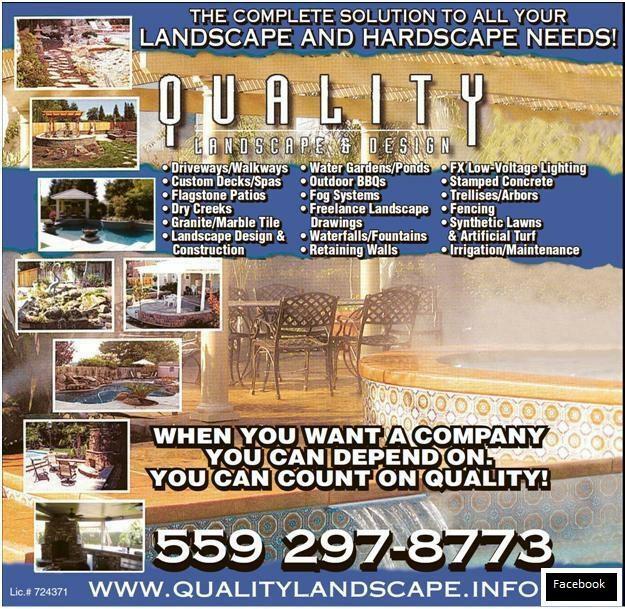 Quality Landscape and Design is the complete solution to all your landscape and hardscape needs. See About Us for more of what we can do to help you make your outdoor dreams come true. View Services for detailed explanations of what we offer you. View more pictures of our process and finished products. © 2014 Quality Landscape and Design CA Lic. #724371 All Rights Reserved.